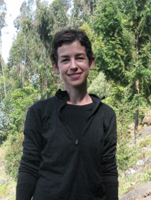 Dr. McFarlin is a biological anthropologist whose research focuses on understanding the significance of bone and tooth microanatomy for revealing aspects of the growth and development, life history, behavior, and environments of primates and other organisms. Dr. McFarlin is a biological anthropologist with expertise in mineralized tissue histology. Besides her appointment in Anthropology, she is an Adjunct Instructor of Anatomy and Regenerative Biology and a Research Associate at GW's Center for the Advanced Study of Human Paleobiology. For the latest on Dr. McFarlin's research, visit the Hard Tissue Biology Laboratory website. Dr. McFarlin's research is based both in the laboratory and in the field, and incorporates studies of bone and dental tissues across a range of species. Because our ability to accurately interpret variability in hard tissue microanatomy in unknown animals ultimately depends on opportunities to investigate individuals for which life history, behavior and environment are known, her current research prioritizes focused examinations of hard tissue remains and observational studies of living primates from well-documented wild populations. Her work examines how hard tissue microanatomy can inform our understanding of the life history, developmental biology, and health of modern populations, and offer insights into the evolution of human life history. The Mountain Gorilla Skeletal Project in Rwanda. This project examines relationships between life history, dental and skeletal development in Virunga mountain gorillas from Rwanda, with an emphasis on understanding the effects of socioecology, stress, and environmental factors on the developing microanatomy of their bones and teeth. With collaborators from the Rwandan Office of Tourism and National Parks, the New York University College of Dentistry, the Dian Fossey Gorilla Fund International - Karisoke Research Center, and the Mountain Gorilla Veterinary Project. Photogrammetry-based studies of morphological development of mountain gorillas and western lowland gorillas. This research examines sources of variability in offspring growth and development within and among wild gorilla populations, and relationships between variation in morphological development and documented life history outcomes. With collaborators from the Dian Fossey Gorilla Fund International and The Mbeli Bai Study. To see Dr. McFarlin's CV, click here. An up-to-date list of Dr. McFarlin's publications can be found at her laboratory's publications page. 2013 Ruff, C.B., L.M. Burgess, T.C. Bromage, A. Mudakikwa, S.C. McFarlin. "Ontogenetic changes in limb bone structural proportions in mountain gorillas (Gorilla beringei beringei)," Journal of Human Evolution 65(6): 693-703. 2012 McFarlin, S.C., S.K. Barks, M.W. Tocheri, T.G. Bromage, K.A. Fawcett, P.R. Hof, A. Mudakikwa, M.R. Cranfield, C.C. Sherwood. "Early brain growth cessation in Virunga mountain gorillas (Gorilla beringei beringei)," American Journal of Primatology. Published online December 3. 2008 McFarlin, S.C., C.J. Terranova, A.L. Zihlman, D.H. Enlow, T.G. Bromage. "Regional variability in secondary remodeling within long bone cortices of catarrhine primates: The influence of bone growth history," Journal of Anatomy 213(3): 308-324.